Poll finds Likud would win 29 seats if elections were held today, Yisrael Beiteinu would see rise in Knesset representation. A poll conducted by Professor Camille Fuchs for Channel Ten News following the announcements by ministers Bennett and Shaked that they will remain in the coalition showed that the Likud Party remains below the threshold of 30 mandates, but would still be the largest party in the Knesset if elections were held today. According to the figures, had the elections been held today, the Likud would have won 29 Knesset seats. The Yesh Atid party would place second with 17 seats. The Zionist Union party and the Joint Arab List would receive 14 seats each. The Jewish Home would receive nine seats. The Yisrael Beitenu party would strengthen to eight seats from its current five. Meretz and Orly Levi Abecassis' party would receive seven seats apiece. United Torah Judaism would receive six mandates. The Kulanu party would lose half of the seats it currently has, dropping from ten seats to five. Shas would fall from seven seats to just four, barely passing the electoral threshold. The poll also examined the state of the political system if a party led by Benny Gantz ran for the Knesset. In such a situation, the Likud party would win 27 mandates, Gantz's party 15, the Joint Arab List 14, and Yesh Atid would fall to 12 Knesset seats. 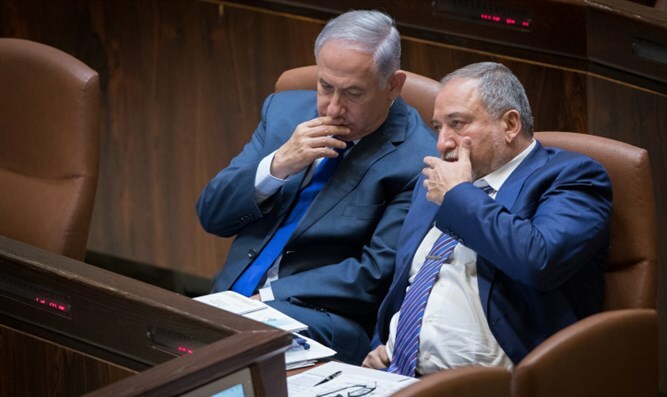 The Zionist Union would drop to ten seats, while the Jewish home would remain at nine, Yisrael Beiteinu at eight, UTJ at six, and Meretz received six seats. Orly Levi Abecassis' party received five seats, Kulanu four, and Shas would remain with four seats.